From out of the shadows comes the latest addition to the SH Figuarts WWE line, the ominous WWE Undertaker SH Figuarts Action Figure! 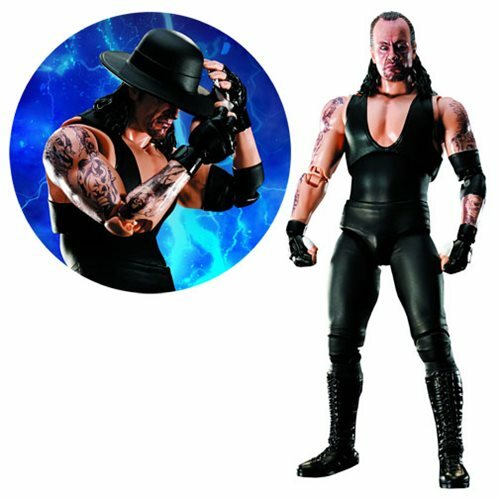 Undertaker is meticulously realized in 6-inch scale with strategically placed joints for ultimate articulation. Set includes his iconic hat, interchangeable right hand, jointed interchangeable hands (left and right), and 3x interchangeable heads. Ages 15 and up.